Our community and F.O.L. members all enjoy more activities and better library events because the F.O.L. supports library programs and activities with your membership dollars and tax-deductible donations! Friends of the Davie County Public Library coordinates volunteers, and sponsors various library activities throughout the year, so let us know if you would like to know more about helping! The Friends of Davie County Public Library has 501(c)(3) non-profit status, so all donations to the group are tax-deductible. This enables us to receive donations for specific library projects each year, as well as raise funds through our twice-a-year book sales and other fundraising projects. Check with your employer to see if they match donations! The library’s “friends” (members) are all people who recognize the importance of education and access to resources in our community. All of our board members are volunteers and we have minimal administrative costs, so most of your membership dues and donation dollars go directly to fund library improvements and support. All of the members who volunteer at our book-sales (Thank You!) 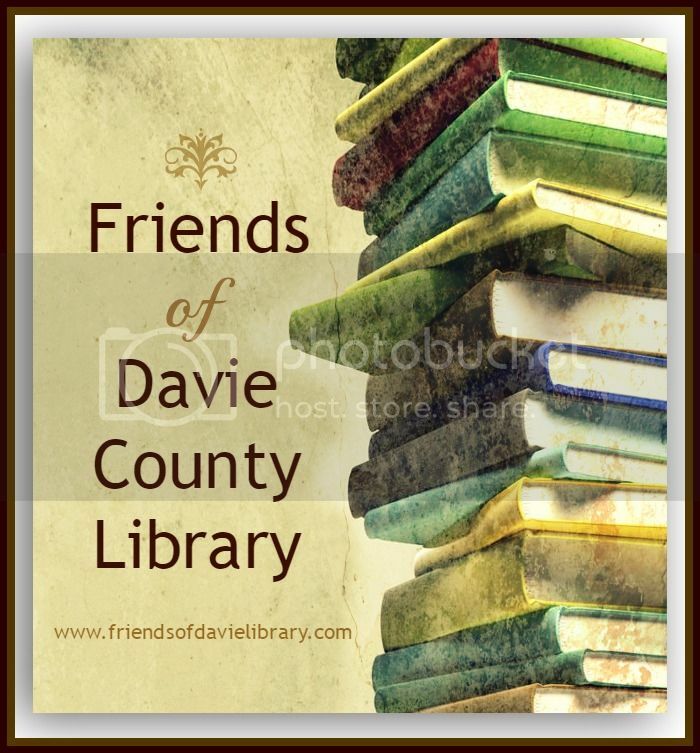 and at other events support the Friends of Davie County Public Library group, because of their dedication to literacy. They give of themselves, and their time, to ensure that the many resources our library provides are accessible to everyone who lives in Davie County.